"Poetry with a distinct flavor: a skillfully mixed appetizer." 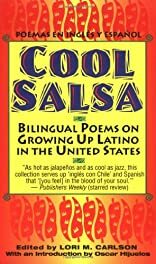 Here are the sights, sounds, and smells of Latino culture in America in thirty-six vibrant, moving, angry, beautiful and varied voices, including Alicia Gaspar de Alba, Ana Castillo, Sandra Cisneros, Luis J. Rodr�guez, Gary Soto, and Mart�n Espada. "The subtle but singing lyrics frequently have a colloquial tone that will speak to many young readers." 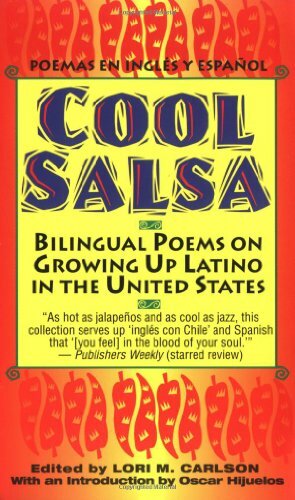 "Excellent enrichment...Whether discussing the immigrant's frustration at not being able to speak English...the familiar adolescent desire to belong, or celebrating the simple joys of life, these fine poems are incisive and photographic in their depiction of a moment."